It was evening. I was little. My Mom finished dishing up Stove-Top stuffing on my plate. I needed to at least try it. When Mom left the kitchen, I scampered over to the garbage can and dumped it all in. Yes, I was the sassiest in our bunch of three kids. I did what I wanted. When it comes to disobedience, King Saul and I are really not that much different. Israel looked around at powerful nations and desperately wanted their own King. God warned them through the prophet Samuel a king would heavily tax the people and seize their property. It was not the will of God. But the people wanted what they wanted and God gave them their desires. Eventually things went very wrong. King Saul was not the king Israel had hoped for. God makes each of us each with a unique potential and gifting, and we suffer when we do not fulfill this purpose, because our hearts know and secretly long for it. Disobedience towards God is wrong because it thwarts our true purpose. It is only through obedience that we grow into the mission and purpose God has for our life. From the beginning of his reign, King Saul lacked a basic leadership skill: he easily compromised himself. He did not take his call seriously and disobeyed God. Disobedience actually hurts our soul, our relationship to God . . . and we see that as it plays out further in the life of King Saul. Eventually it destroyed him. If we live our own lives in the rebellion of disobedience, it will hurt our own personal relationship with God. 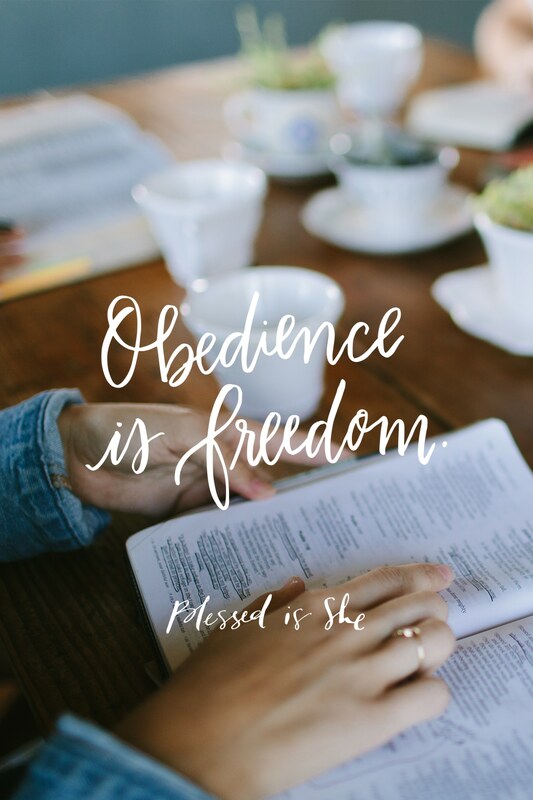 It helps me to remember that obedience is not oppression or control by God, but it is actually freedom to become the women God desires us to become! Are there any areas in your own life you are struggling with obedience to God? Be honest with yourself and lean into that today, sisters. Do not shame yourself. Hold it up to Jesus and repent.